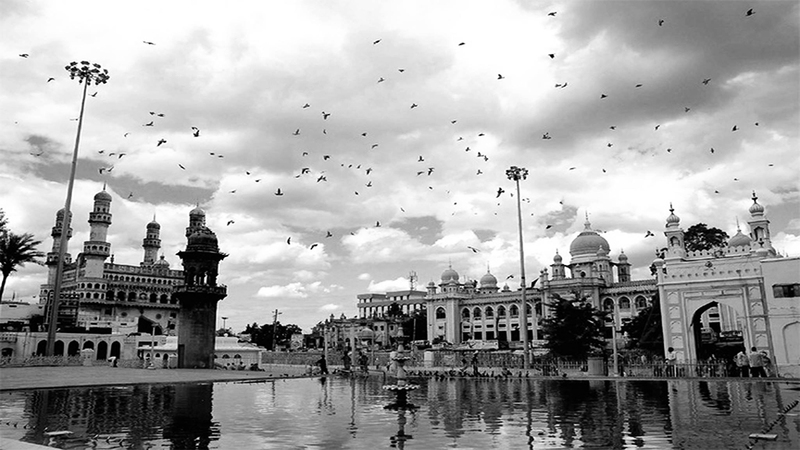 Hyderabad a city rich in culture, tradition with some great history has many places to explore. 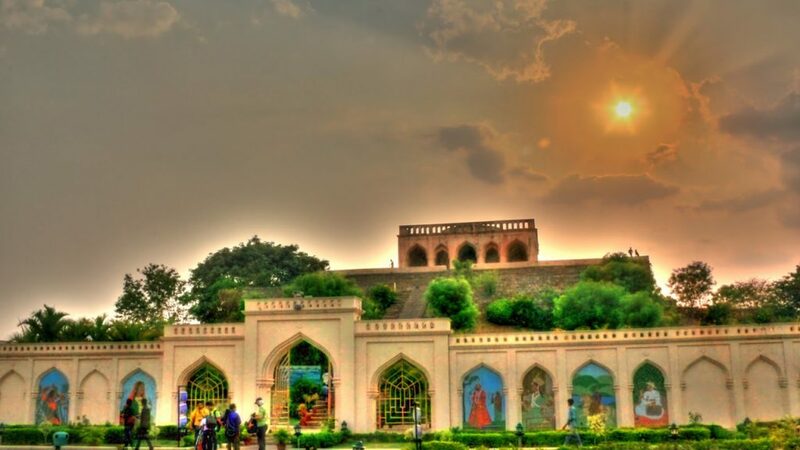 Along with rapid modernization Hyderabad has preserved its heritage till date. One can experience how the city must have been centuries ago. Established by Qutb Shahs and developed by Nizams, this city is a beautiful blend of Persian, Indian and Arab culture. Here’s what you can explore in Hyderabad. What statue of Liberty is to New York, Charminar is to Hyderabad. 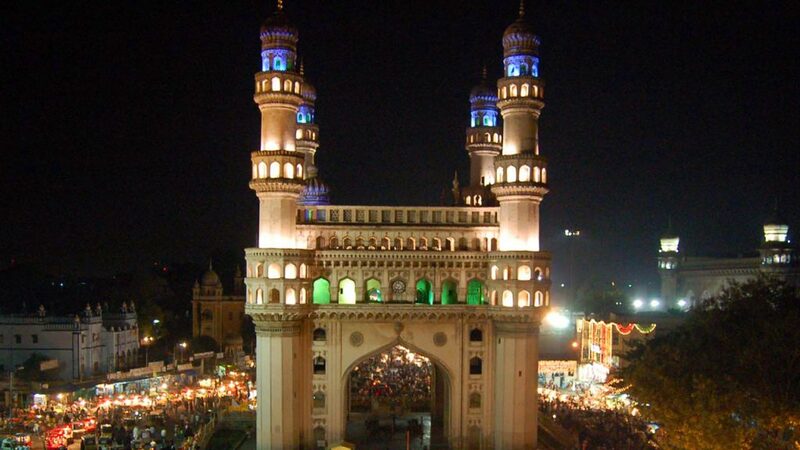 The first thing that resonates when you hear the word Hyderabad is Charminar. This beautiful monument was constructed in 1591 by Mohammed Quli Qutb Shah and is a must see when you plan a trip to Hyderabad. Charminar has a square structure which is 20 meters long with minarets at the four corners; each minaret has 149 winding steps. It’s a beautiful mosque turned in to monument with local bazaars around. 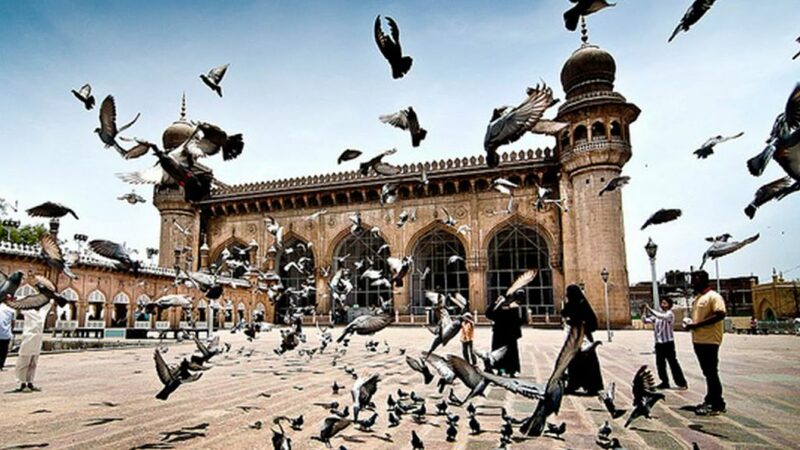 Make sure you complete your trip to Hyderabad by stopover at Charminar to see the bustling life around it. you will never forget this experience for sure. Where: Telephone exchange, Phathergatti Rd, Hyderabad, Telangana, 500002, India. Makka Masjis is in close proximity to Charminar. The Masjid is Historically significant because the soil was imported from Mecca for construction of this beautiful place of worship. Not just the devotees but also the visitors feel the spiritual connect while on a visit to Makkah masjid. It is about 75 ft tall, 220 ft wide and 180 ft long; and can hold approximately 10,000 worshipers at a time. Where: Laad bazaar Rd, Khilwat, Charminar, Hyderabad, Telangana, 500002, India. 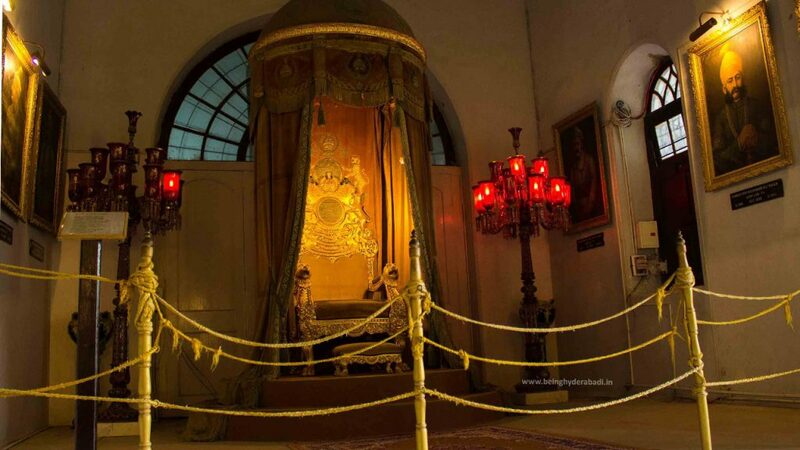 Nizams of Hyderabad belonging to the Asaf Jahi Dynasty used to reside in the Chow Mahalla Palace. This palace renowned for its elegance and grandeur is the combination of four palaces, Afzal Mahal, Mahtan Mahal, Tahniyat Mahal and Aftab Mahal. Hence, it’s known by the name chow mahalla. Chow means four,mahalla means palaces. Constructed by Salabat Jang, spread across 12 acres it has luscious lawns with ornate fountains in the center, exquisite carvings, elaborately stunning glass chandeliers,opulent display of crockery, magnificent vintage cars and royal clothing. Where: Khilwat, 20-4-236, Moti galli, Hyderabad 500002, India. Entry fee: Rs 80/-adults, Rs10/- children, Rs200/- foreign tourists, Rs50/- for phone camera. Qutb shahs ruled Hyderabad from the Golconda fort. The fort is built on a granite hill of 480 feet high. Boasting of excellent architecture and acoustics, it is a majestic sight and speaks volumes about the history of Hyderabad’s glorious past. 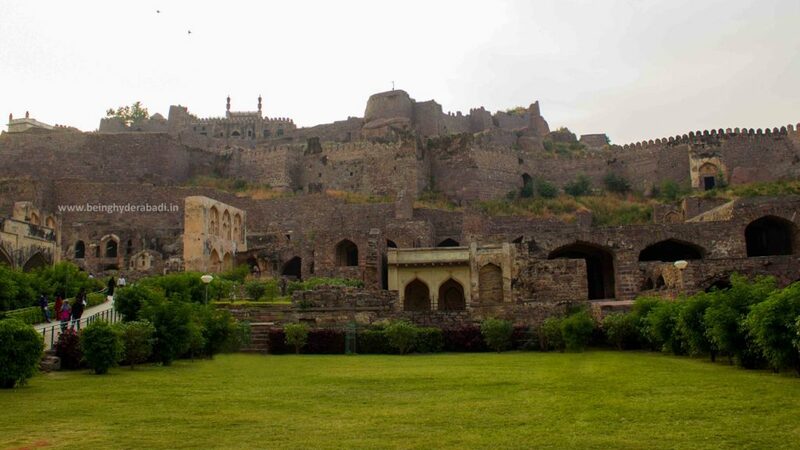 Golconda consists of four distinct forts with a 10 km long outer wall with 87 semi-circular bastions. It is home to the largest sound and light show which can accommodate up to 400 people at a time. The voice over is from Amitabh Bachchan, and songs are sung by Jagjit Singh and Kavita Krishnamurti. Where: Ibrahim Bagh, Hyderabad, 500008, Telangana, India. Timings: For fort, 9:30am to 5:30pm. For show English (All week days) at 6:30pm. Hindi( Tuesday, Thursday, Saturday, Sunday) at 7:45. Entry fee: Rs 15/- for Indians, Rs 150/- for Foreign Tourists, Rs25/-for still camera and Rs 140 for the sound and light show. 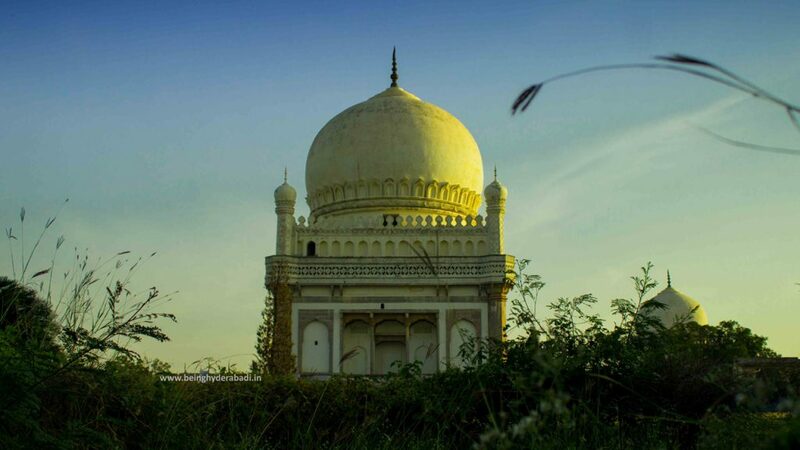 Located two kilometers away from the Golconda Fort and situated across the landscaped gardens in Ibrahim bagh the Qutub Shahi tombs are an architectural excellence consisting of seven tombs. . It’s an amalgamation of Hindu, Pathan, Persian and Deccan style architecture. The tombs are of different sizes and are must visit to see the mixture of many cultures. Entry fee: Rs20 for adults, Rs 10/- for children, Rs50 for camera. Taramati Baradari was initially a sarai (traveller’s bungalow) constructed on the banks of Musi River changed in to a music hall with 12 entrances. A lot of stories are associated with this place. According to tales, Taramati, a dancer at the time of king Abdullah Qutb Shah used to perform for the king and had become his favourite so the baradari was named after the courtesan Taramati as Taramati Baradari. Presently, it is open to host various public events and exhibitions. It has a large open theatre and conference room. Where: Near PBEL city, Ramdev guda, Ibrahimbagh, Hyderabad, 500031, Telangana. 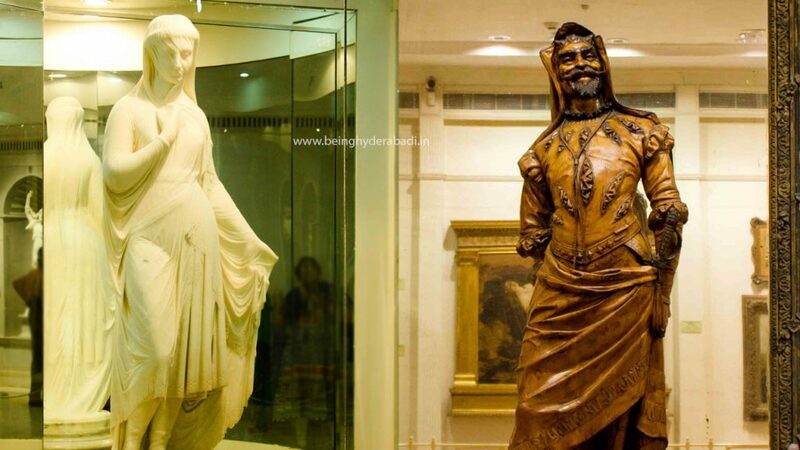 Salar Jung Museum has a huge collection of sculptures, textiles, paintings, carvings and cloths from Japan, China, Burma, Nepal, India, Persia, Egypt, Europe and North America. It is the also the world’s largest one man collection of antiques. The collection includes painting from a celebrated painter Raja Ravi Verma, Aurangazeb’s sword, Veiled Rebecca, Quran collection of different fonts and writings and a clock. Where: 22-8-299/320, Salar Jung Road, Naya pul, Darul Shifa, Hyderabad, Telanagana,500002, India. Timings: 10:00am to 5:00pm(Friday closed). Entry fee: Rs20/- for Indian adults, Rs150/- for Foreign tourists,Rs5/- for children, and Rs50/- for camera. Purani Haveli as the name suggests means old mansion, was built by Sikandar Jah and his father Ali Khan Bahadur Asaf jahan. This building is very much influenced by the 18th century European architecture. It has beautiful mosaic flooring and tiled walls, antique furniture with sinuous interior decorations. 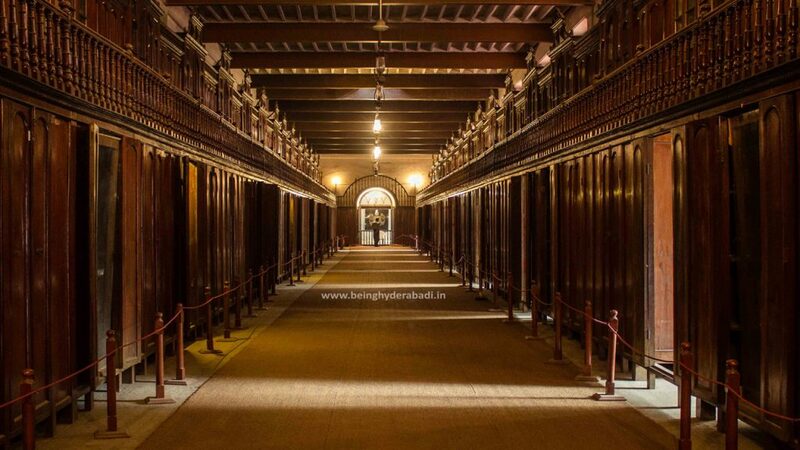 It has the longest wardrobe in the world with a capacity to hang 730 pairs of royal attires. It has Nizam’s Silver Jubilee Museum inside. Where: Pathar gatti, near princess Durre shwar hospital, 500002, Hyderabad, Telangana. Entry Fee: Rs80/- adults, Rs15/- children, Rs150 for camera. 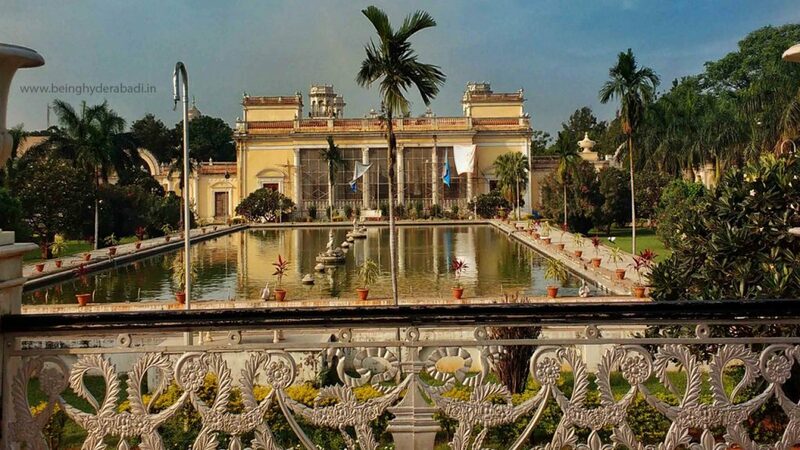 The last Nizam, Osman Ali Khan, Asaf Jah VII received a lot of gifts on his silver jubilee, this museum showcases all the gifts and mementos the Nizam was presented by dignitaries. The museum has a golden, wooden throne that was used for the silver jubilee occasion, silver perfume bottles, silver cups, and vintage car collection like 1930 Rolls Royce, Packard and many more. Where: Purani Haveli palace, old city, Darul Shifa, Hyderaabad. Entry fee: No special entry fee. Paigah tombs, located in old city, are tombs of Paigah family who were very close to the Nizam family. Paigahs were married to the daughters of Nizams. The tombs that are spread across 30-40 acres take you back to the 18th century. 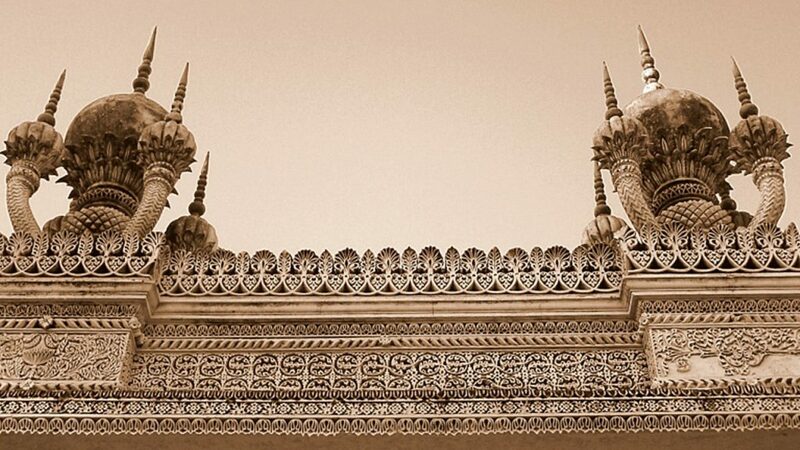 The Paigah tombs have mosaic, tile and jali work which is exclusive and one of a kind. Where: Qalendar Nagar rd, Santosh Nagar, Kanchan bagh, Hyderabad, 500058, India.